I already knew that Iran is the only country in the world where the sale of the kidney is not only legal, but government sanctioned and subsidized. When I sat behind my desk to watch the documentary, Iranian Kidney Bargain Sale, I already knew what to expect - sort of. 1- The human faces and stories behind the kidney trades. 2- The tough ethical and moral questions that creep up on the viewer. Here you have two desperate and nearly hopeless people, each clinging to the hope that the other party can resolve their devastating problem. One gripped with such destitute that has decided to sell a vital organ, the other in urgent need of a kidney to regain a semblance of a normal life. As I watched the movie, I kept wavering between siding with the donor and the recipient. 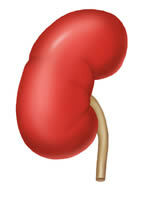 I would condemn the Iranian government for allowing the kidney trade, only to condone it a few moments later. This is not a simple black and white matter. It's one big gray area. Is it fair for people to sell their kidneys for as little as $3,000? Is it fair that potential recipients continue to haggle over price, as if buying a car? And yet, is it fair that some of the lives saved could have been lost without this trade? Or perhaps barring the legal trade, unscrupulous black market operators abuse and intimidate potential donors at their most vulnerable times, the way it's done in India or Pakistan? To be fair, the government does seem to have strict policies in regards to who can donate and who can receive a kidney. Among the rules, they must both be Iranian citizens (eliminating potential abuse by wealthy foreigners) and they must pass rigorous medical exams to qualify for the procedure. I would imagine that the little money the donors receive could hardly resolve their problems. In most cases they would be back at their original financial position, minus a healthy kidney. The recipients seem to benefit the most from the trade, that is if the transplants are successful. In the end I still couldn't make up my mind on whether allowing this practice was ethical. Given all the parameters, I think the kidney trade in Iran is somewhat beneficial to the society, because it does assist in saving lives. Not just the lives of the recipients, but also the lives of the donors who would otherwise be at the mercy of the black market operators. Then again my opinion couldn't possibly carry that much weight, since I haven't walked in the shoes of the people on either side of the kidney trade.